Mikheil Saakashvili was elected President of Georgia on 4 January 2004 with more than 96% of the votes during the Rose Revolution, a peaceful pro-West change of power in Georgia. A young reformer, Saakashvili promised to end endemic corruption and focus on keeping the territorial integrity of the country in the face of separatist movements in Georgia’s ethnic republics. 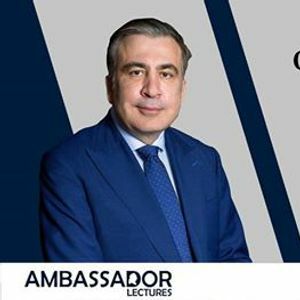 In his lecture, Mr Saakashvili will shed light on the democratic systems of a few ex-Soviet bloc nations, such as Georgia, Moldova and Ukraine, that according to him are subject, to this day, to foreign political 'intervention' by Russia. 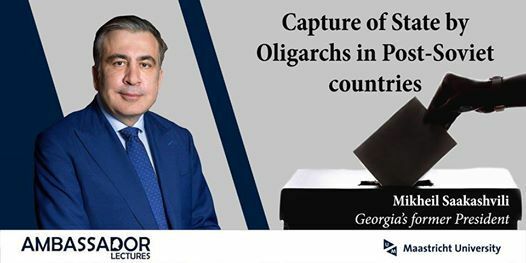 According to Mr Saakashvili, a few individuals hold the grip on power in these countries and in his experience, they cannot rid themselves of Russian influence by conventional force. In Mr Saakashvili's view, the recent election results in Moldova and similar problems facing the upcoming elections in Ukraine, can only be addressed by a defeat of ‘Putinism’. Join us on March 28 at 19.30 to listen to former President Mikheil Saakashvili’s first-hand account of the still ongoing struggle of former Soviet states to grow into strong democratic countries.